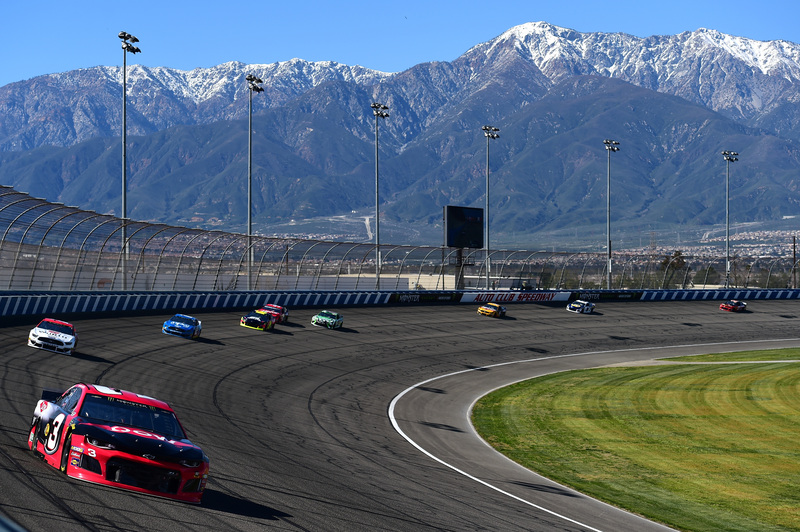 One week following the time change, NASCAR teams prepare for the final leg of their West Coast Swing with today’s Auto Club 400 at Auto Club Speedway. For the most part, this two-mile superspeedway looks a lot like its sister track in Brooklyn, MI. However, it’s a whole different animal from its Wolverine State counterpart. In fact, that often means drivers racing on all kinds of lanes on this 22-year-old track. 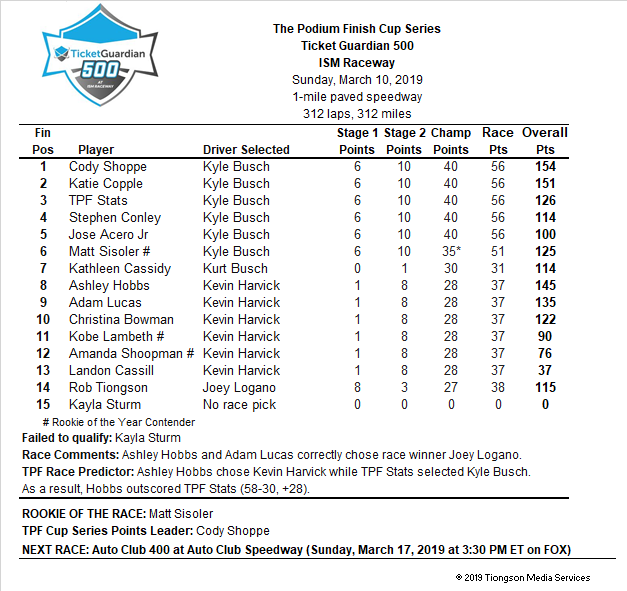 This week, The Podium Finish’s columnists, Adam Lucas, Ashley Hobbs, Christina Bowman, Cody Shoppe, Jose Acero Jr, Kathleen Cassidy, Katie Coople, Kobe Lambeth, Matt Sisoler, and Stephen Conley discuss the pressures of group qualifying and the prospects of a Chevrolet team nabbing their first win at Fontana! 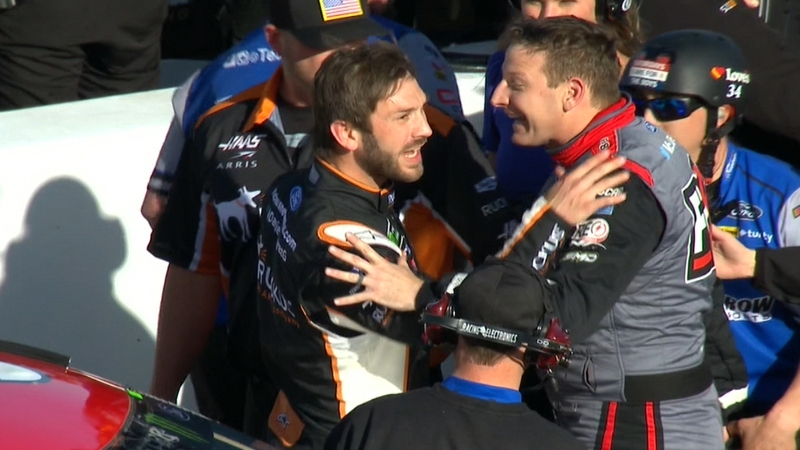 We saw tempers flare between Daniel Suarez and Michael McDowell during qualifying at Phoenix. All things considered, was this a byproduct of group qualifying? In particular, should NASCAR look into modifying this critical session of the race weekend? Cassidy : Not at all. Although a fight might not be the most ideal situation ever in a sport, it is a hit with the fans – no pun intended! The situation between Suarez and McDowell shows how passionate drivers are towards NASCAR and you do not want to remove that. 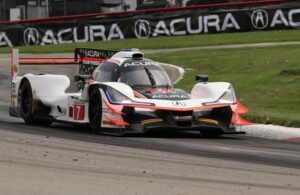 Group qualifying adds a dynamic and challenging aspect for this sport! Conley : Should NASCAR look in to modifying qualifying? Absolutely not. What’s not fun for the drivers, often is fun for the fans. It’s not meant to be easy, give the drivers and teams time to figure it out and it will be perfected. And if we have more fights on pit road. Great. Get Michael Buffer on the P.A.. let’s not over think things. Lambeth : Absolutely not! A shorter amount of time to qualify will lead to short tempers. The fight on pit road between Daniel Suarez and Michael McDowell was the prime example of what the qualifying format is capable of producing. Neither driver used their car as a weapon but decided to handle things themselves. In particular, it was good publicity for NASCAR as the little dustup was trending on social media. Surely, it received an endorsement from Barstool Sports. In effect, I hope that the drivers continue to show their passion. Lucas : Fighting about a qualifying lap? Wow, what year is it? I liked that Daniel was able to shed his semi-babyface persona this past weekend. It made a good social impact on the internet. Heck, I had several co-interns asking about what caused that scuffle. I explained it to them like this. Basically, when you a small cup of water into a funnel, the water doesn’t backsplash, but when you pour a gallon jug of water into the same funnel at a fast rate, you end up losing some of that water. The majority of teams went at the last remaining minutes and could not achieve a Top 24 lap. Daniel Suarez and Michael McDowell were two of those drivers that let their tempers get the best of them. Sisoler : Not really. NASCAR wanted more drama in the weekend, they got it with that fight. Tempers are gonna flare with drivers desperately trying to get as high up the starting order as possible. 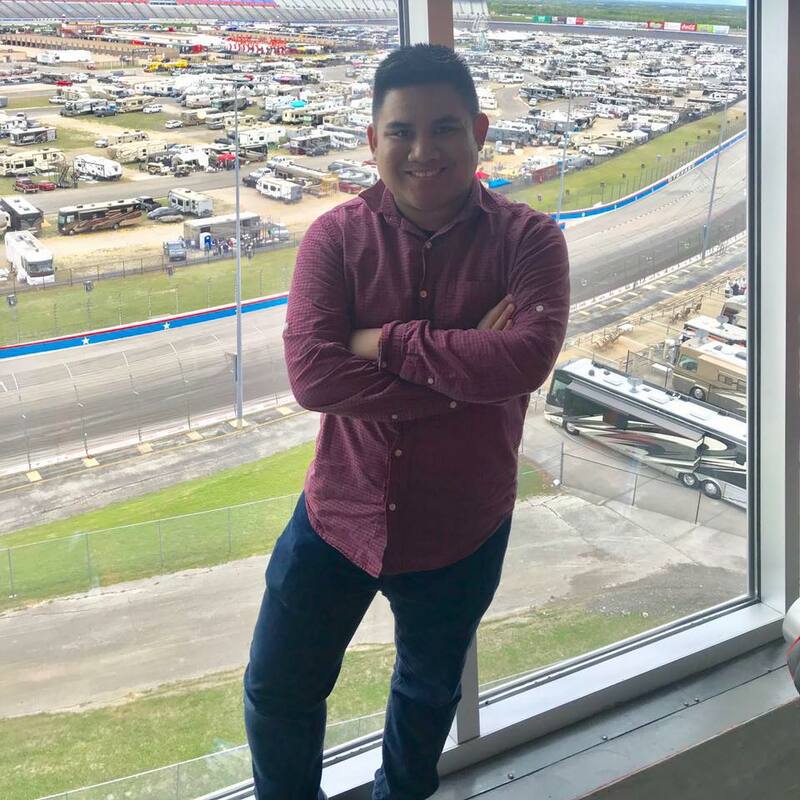 Notalby, this qualifying makes these sessions interesting and drama-filled for fans, and if the rest of the qualifying sessions this year are like the past two, we are going to see a lot of action this year. At some point, Chevrolet will likely nab their first win of the 2019 season. Accordingly, which Chevrolet driver and team looks most probable to score a victory as we head to Fontana? Acero : I’m going with Larson on this one, dude is the most recent winner at Fontana and this particular track fits his driving style. Look for Johnson to have a strong outing come Sunday but i think the 42 gets Chevy their first trip to Victory Lane. Bowman : Statistics-wise, it would look to be either Larson or Johnson with the best chance. 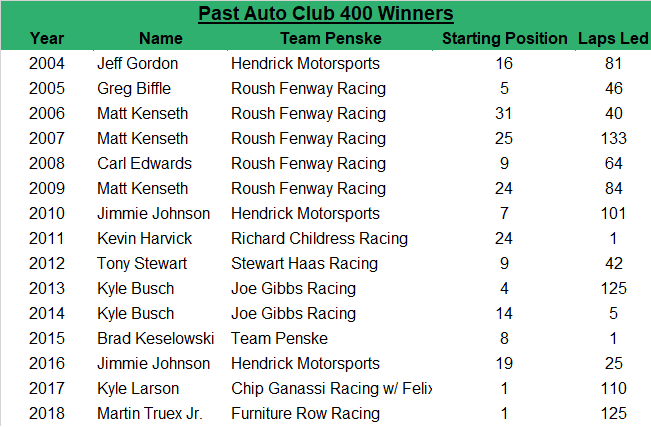 Larson is the winningest driver in recent years at Fontana, while Johnson has the best record of all current drivers. Copple : Kyle Larson would be a safe bet, but any of the Hendricks cars could be a surprise choice. In fact, Jimmie Johnson has been consistently up front this season and coming off of a winless 2018, he’s hungrier than ever for that victory. Hobbs : Statistically speaking, Kyle Larson is the best Chevrolet driver this year, but Jimmie Johnson is not too far behind. 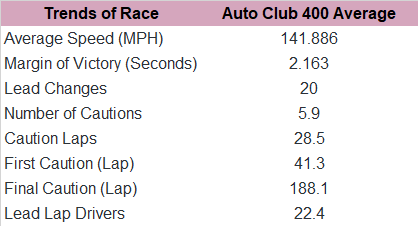 When we look at the Auto Club 400, Johnson’s average finish is almost twice as good as Larson’s, so the needle would tick towards Johnson. But, seeing as how this year is a totally new package, it could wing either direction; but given early 2019 performance, I give slight advantage to Larson. Shoppe : Chase Elliott has been just one step away from contending up front for the past few weeks now. I think this weekend the most popular driver will put it all together and get the first win of the year for Chevy. On the other hand, Kyle Larson is most people’s pick for the first Chevy winner but while the No. 42 team has shown the most speed among Chevy brigade, this team seems to beat themselves too often. 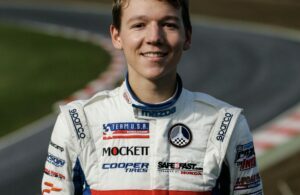 Tiongson : Certainly, I’d say Kyle Larson – based on speed. 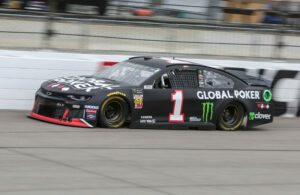 At the same time, I actually think Kurt Busch has the makings to be a true consistent contender for Chevrolet. However, Kyle Larson looks like he could get the job done at Fontana as long as he and his No. 42 team clean up their mistakes, be it on pit road or qualifying. For one thing, I’d like to think crew Chad Johnston will not wait until the last minute in any of the qualifying sessions to ensure their man has the best shot at starting near the front. That’s two laps around Fontana and we actually made laps, indeed! With this in mind, let’s review our results from last Sunday at Phoenix! Rowdy made plenty of panelists super happy. Well, friends, Ashley Hobbs makes sure you’re the Larry Mac of stats as she Crunches the Numbers at Fontana for today’s Auto Club 400! 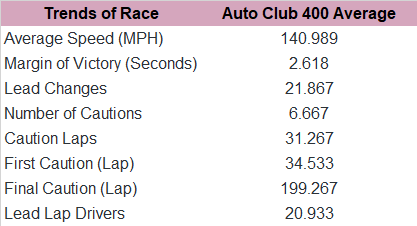 Averages for our past three Cup champs at Fontana. Race trends dating back to 2004. 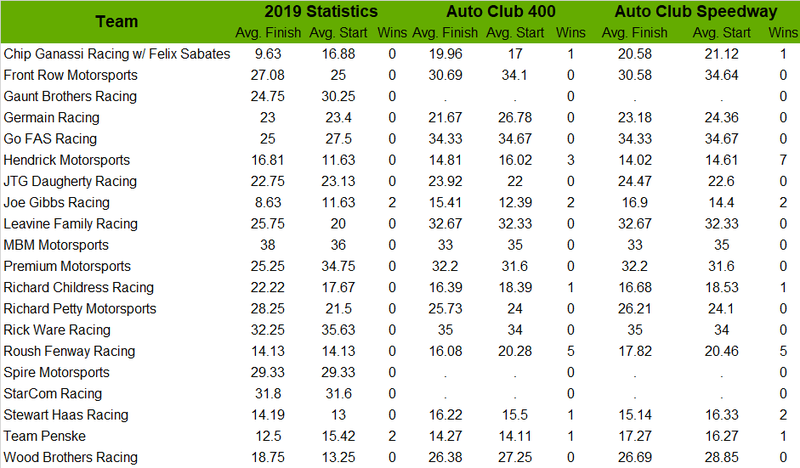 Trends for the past 10 races at Fontana. All in all, we’ve shared our takes with words, statistics, and facts! Now, let’s give it one last push on this West Coast Swing with our winning picks for today’s Auto Club 400 at Fontana! That’s six potentially strong picks for today’s Auto Club 400. Conley : Kyle Busch is on a roll. Win 200 comes in Hollywood-like fashion. Hobbs : An average finish of 3 and a victory is his back pocket, Kyle Busch will get his 200th (overall) NASCAR career win in the Auto Club 400. Sisoler : Well, considering it’s worked pretty well the past two weeks, I’m going with Kyle Busch to get Win No. 200 across all three major NASCAR series. TPF Stats : The stars align for No. 200 for the West Coast native of Kyle “Rowdy” Busch. Copple : Kyle Larson takes this win. 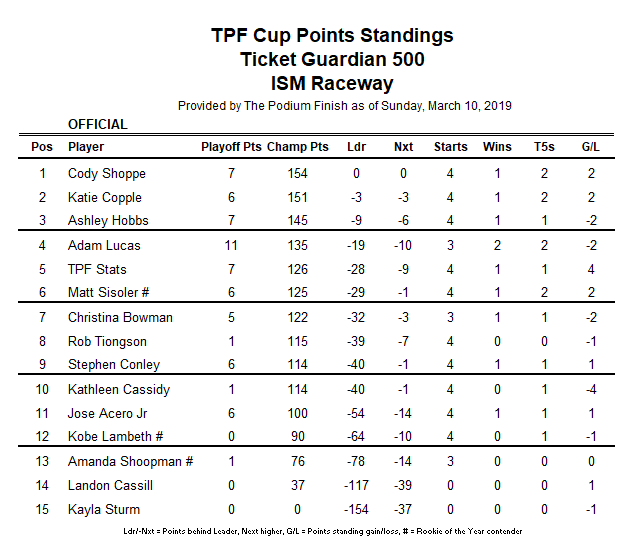 Tiongson : Kyle Larson puts an end to the “blue No. 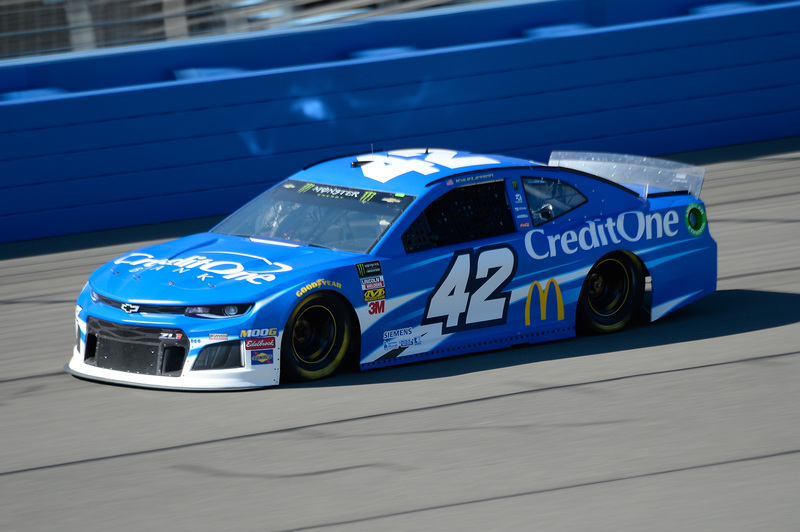 42 car curse” by parking it in Victory Lane at Fontana. Acero : Kevin Harvick to get it done at his backyard! Lucas : I think SHR breaks its winless “drought” that dates back to last season. Kevin Harvick will be hanging ten with the Woodie trophy at Auto Club Speedway. Bowman : I think Ryan Blaney is a bit hungry after coming up short in Phoenix. Lambeth : For the second-consecutive year, the Jersey boy will go California dreaming. Martin Truex Jr. is going to breakthrough and get his No. 19 Joe Gibbs Racing squad to Victory Lane in Fontana. Race fans, thanks for joining us for our preview of the Auto Club 400! We’re ready for some racing. How about you? What do you think are the biggest storylines heading into Sunday’s race and who is your favorite to win? Tweet us now @ThePodiumFinish and tell us now!